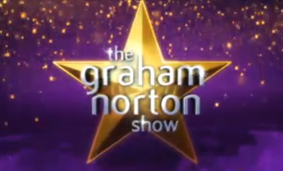 It's common for guests on The Graham Norton Show to display a bit of camaraderie, sharing stories and laughing at each other's jokes. But viewers watching Friday night's programme felt that Hollywood star Adam Sandler was a tad over-friendly when he appeared alongside British actress Claire Foy on the sofa. As he chatted away, Sandler, 51, repeatedly put his hand on Foy's knee, making her look extremely uncomfortable. And fans tweeted their disapproval, calling the incident "awkward" and claiming that Foy looked "distressed". 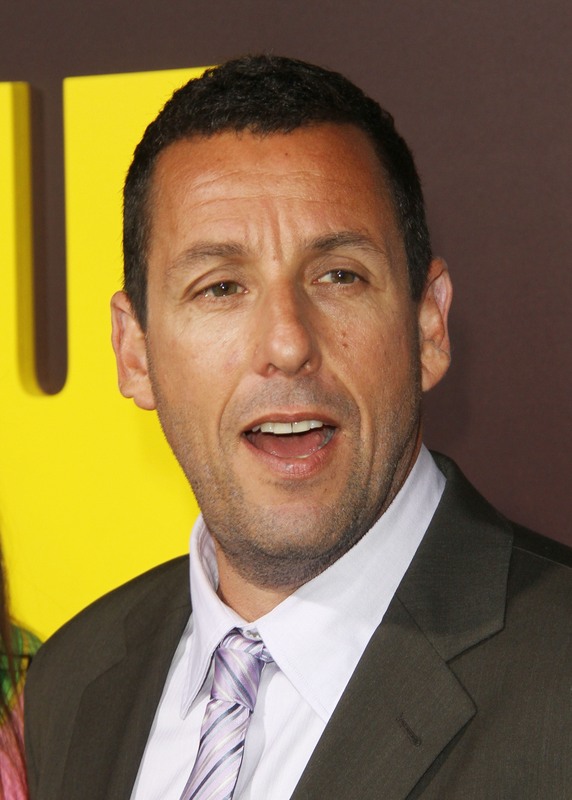 Sandler was on the show to discuss his new film The Meyerwitz Stories, in which he co-stars with Emma Thompson – the Love Actually actress was also on Friday night's programme. And the US actor seemed to get carried away as he regaled his fellow guests, resting his palm on Foy's knee. Foy, 33, who plays the Queen in Netflix series The Crown, smiled awkwardly as she removed Sandler's hand and placed it on his own knee. Adam Sandler has no social awareness of how awkward he seemed to be making Emma Thompson and Claire Foy [feel]. However, that didn't seem to deter the comedy star, and he immediately touched Foy's knee again. He later touched Thompson's leg as well – and at that point, fans of the show decided that enough was enough. 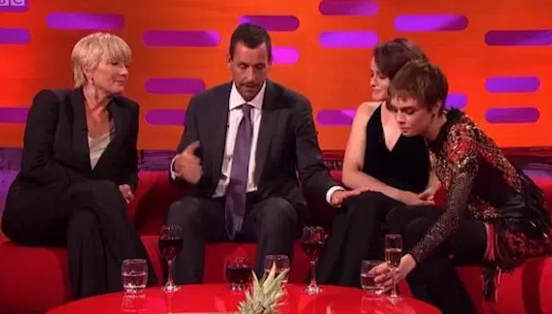 One viewer scathed: "Adam Sandler has no social awareness of how awkward he seemed to be making Emma Thompson and Claire Foy [feel] #stoptouching #GrahamNorton." Another wrote: "With all that's happening, did I just see Claire Foy looking a little distressed at Adam Sandler's hands all over her knee?" And a third said: "Felt very uncomfortable watching Adam repeatedly put his unwanted hand on the knee of Claire Foy." Emma Thompson, who recently spoke out about shamed Hollywood producer Harvey Weinstein, calling him a "predator", dropped a bombshell of her own on last night's show. 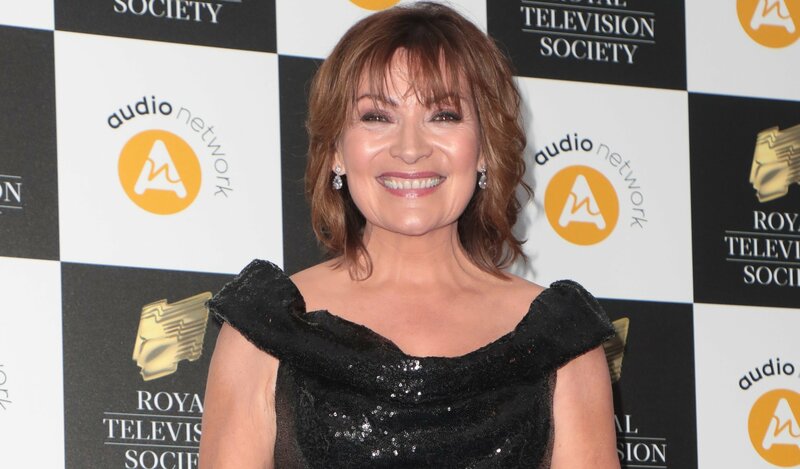 The actress revealed that she'd been asked to dinner by none other than Donald Trump! "[My phone] rang one day and I picked it up – and it was Donald Trump," she recalled. "I didn't know what to say – I was just absolutely astounded. How did he get my number? A number I didn't have in the trailer. "I just said I'd get back to him."